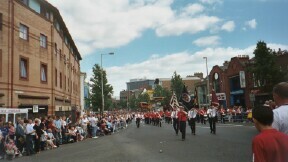 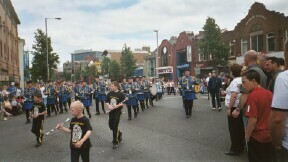 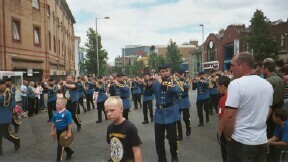 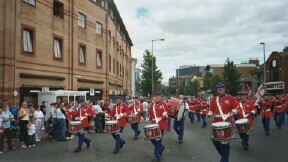 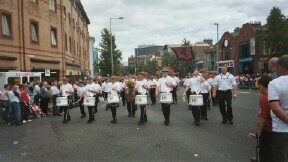 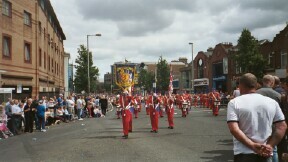 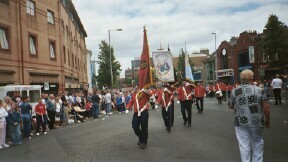 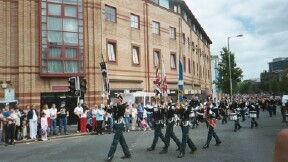 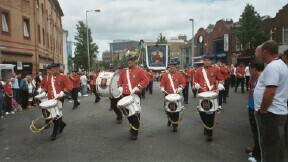 Gertrude Star Flute Band, East Belfast. 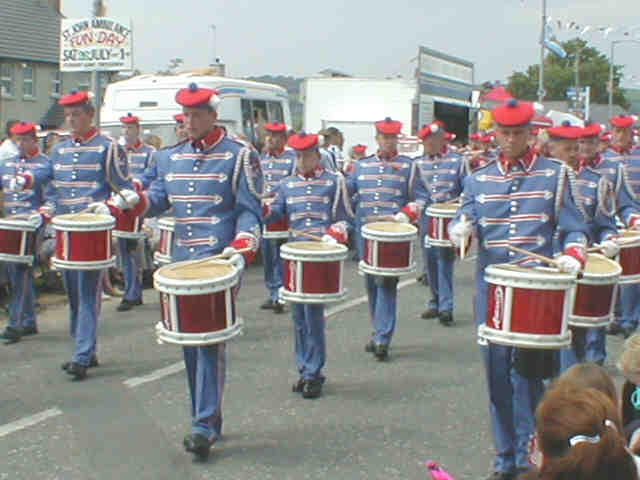 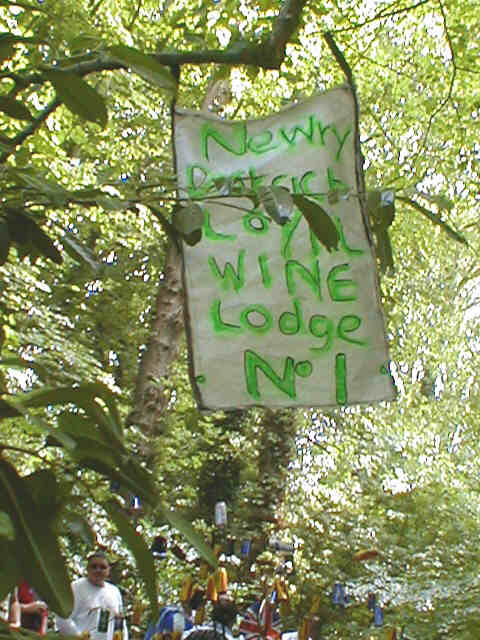 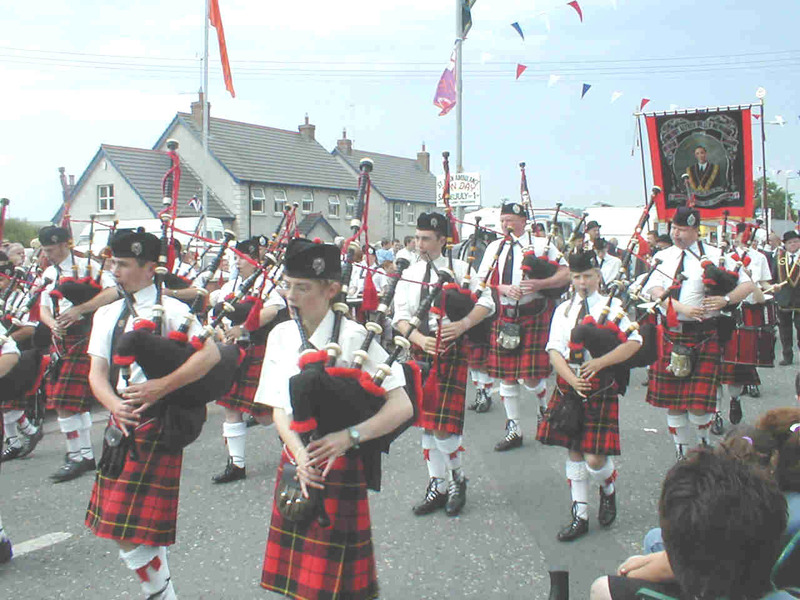 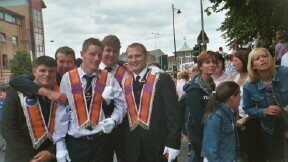 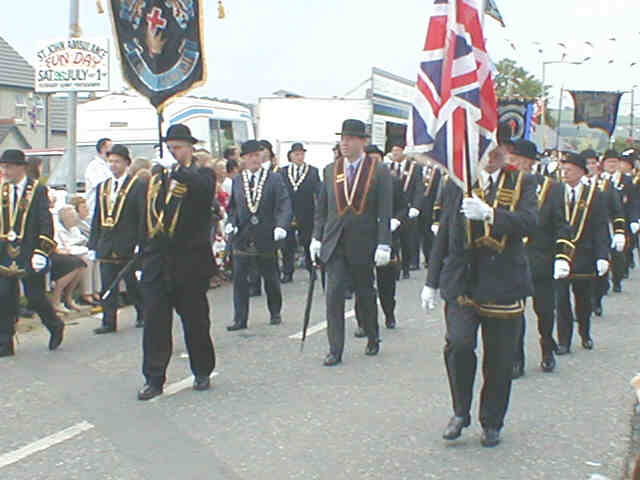 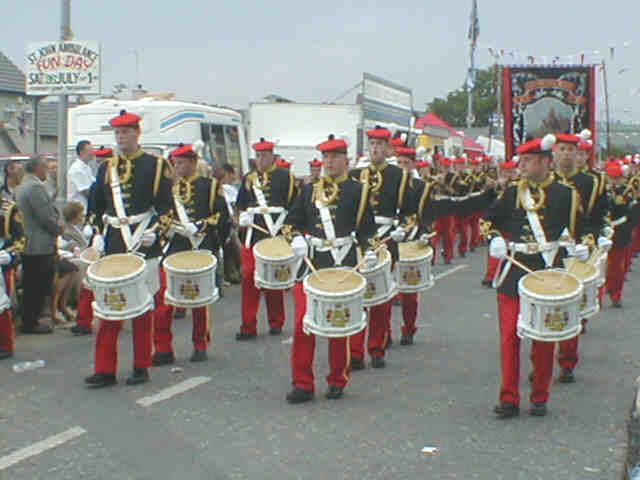 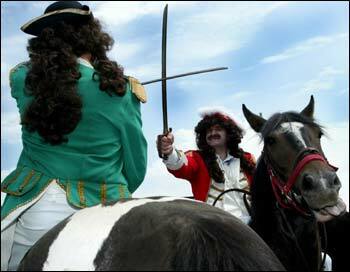 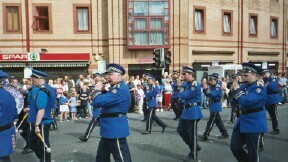 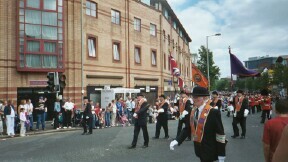 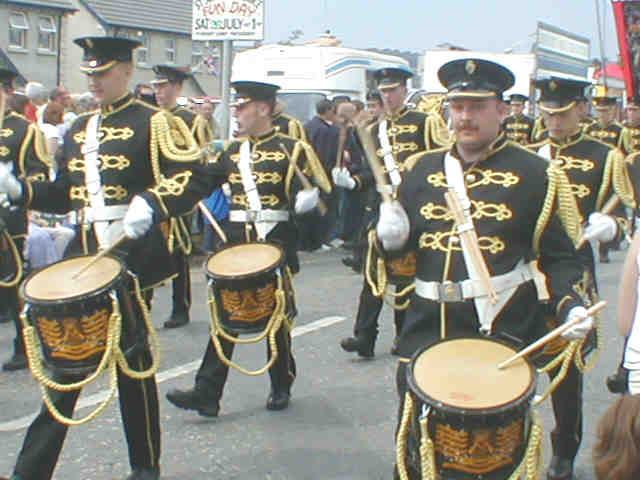 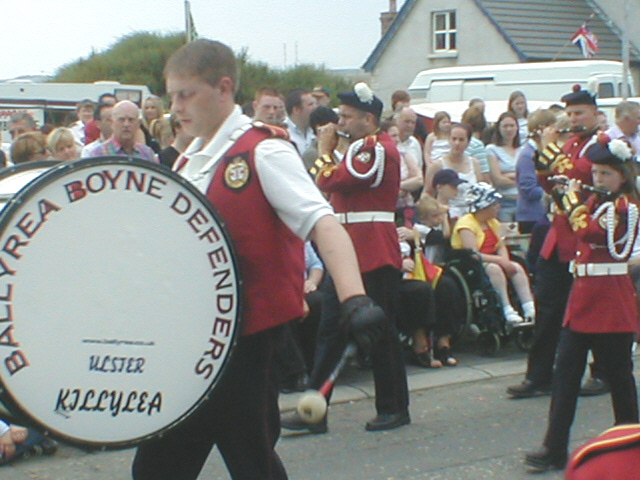 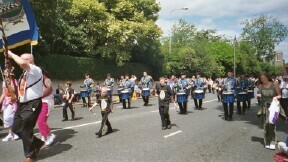 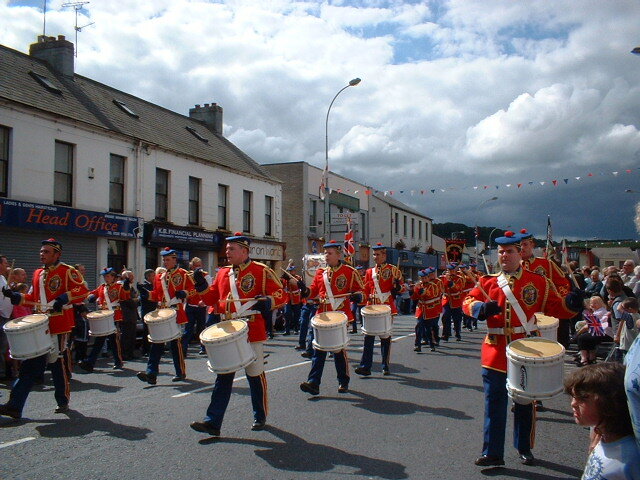 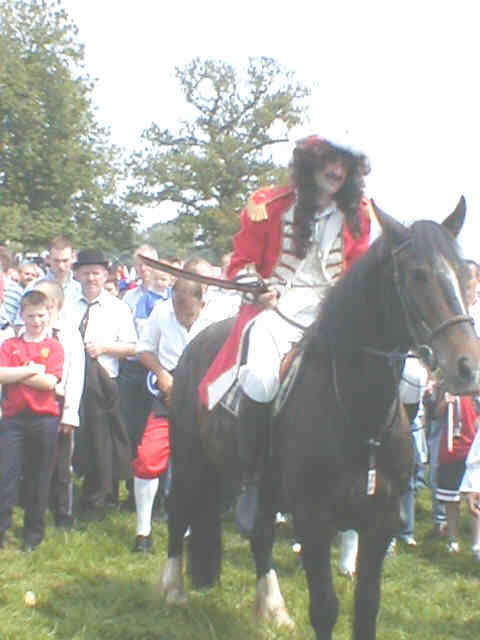 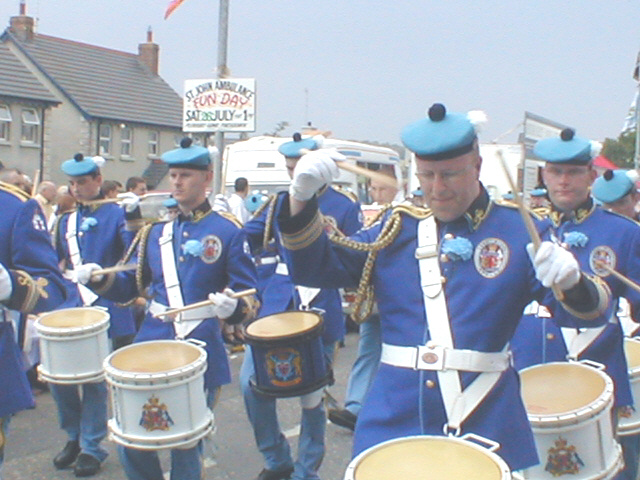 Pictured in Ballynahinch on the last Saturday in August, 2003. 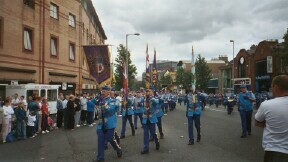 Picture supplied by Ron S, East Belfast. 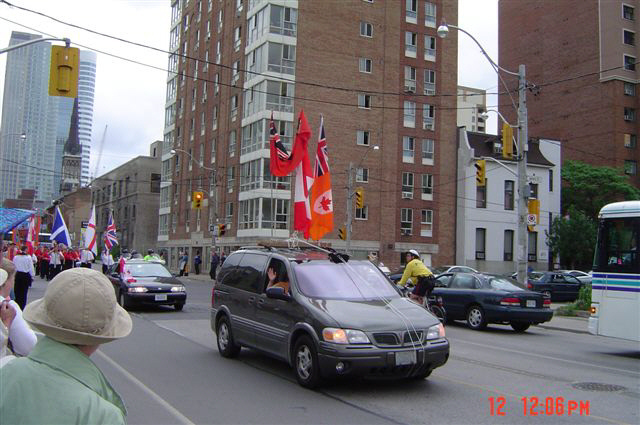 Thanks to Neil in Toronto for these pictures. 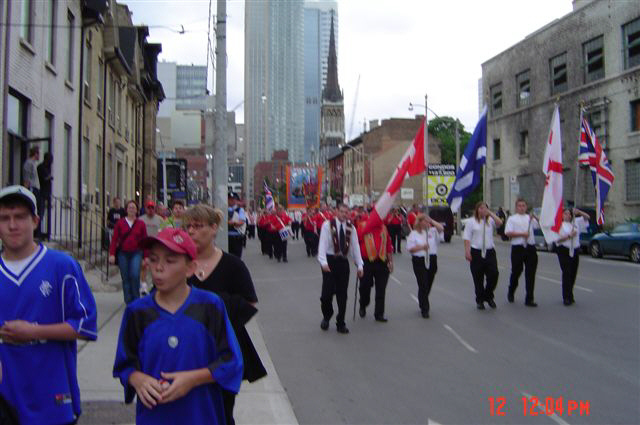 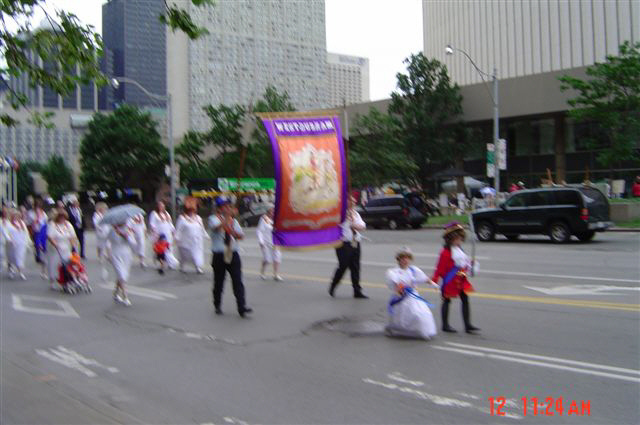 King Billy and Queen Mary lead the Toronto Orangewomen. . People stop to watch the main Toronto procession pass by. 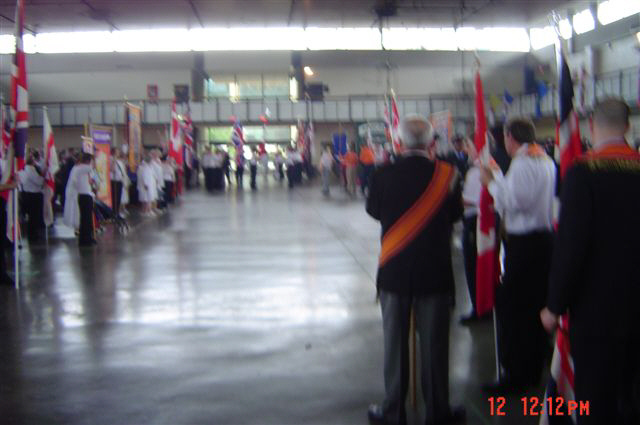 Note the Orange banner Maple Leaf design. 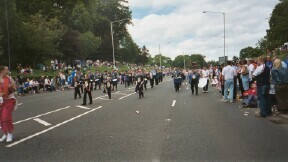 Thanks to Scott for these pictures. 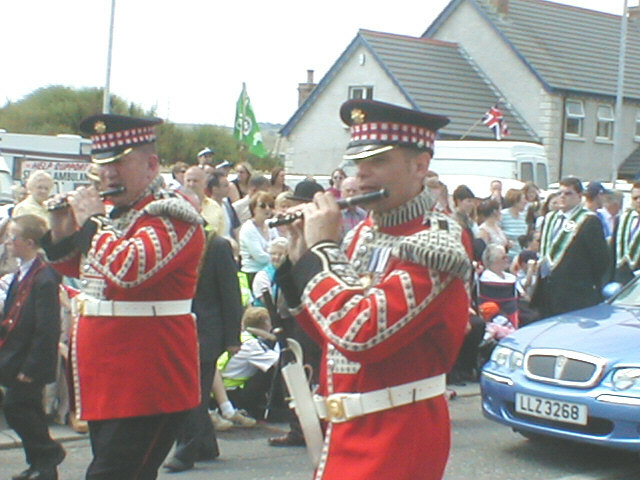 Not just flutes! 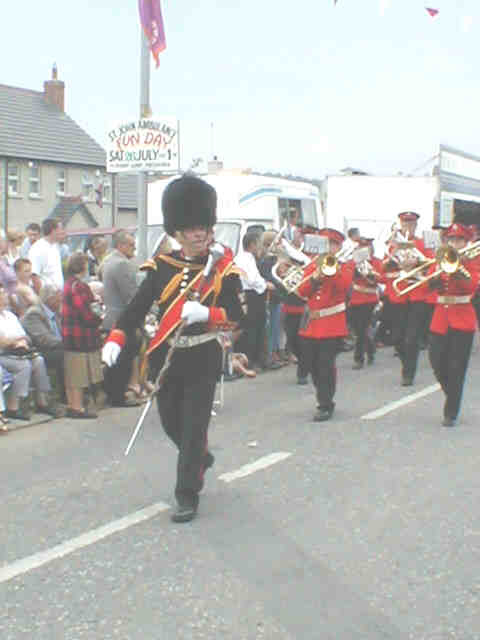 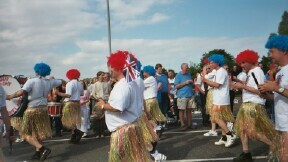 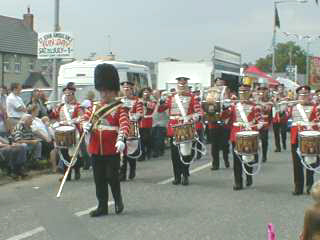 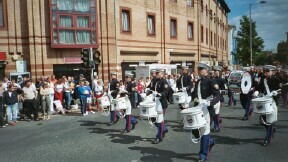 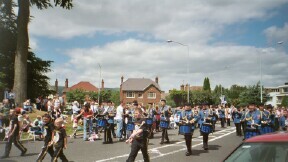 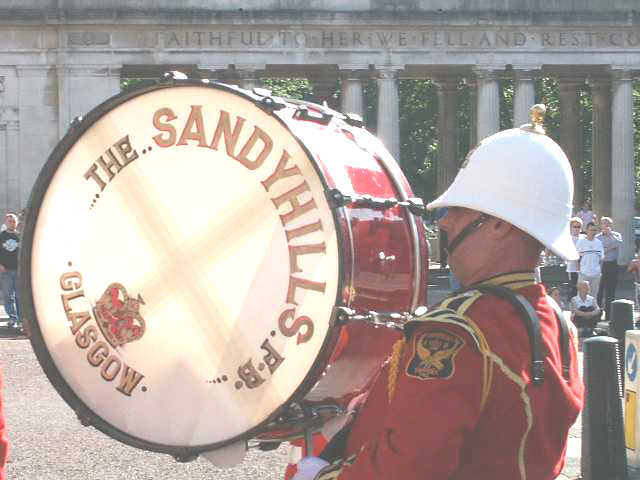 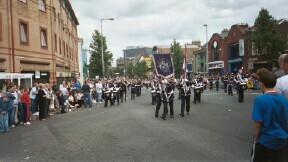 A silver band on parade. 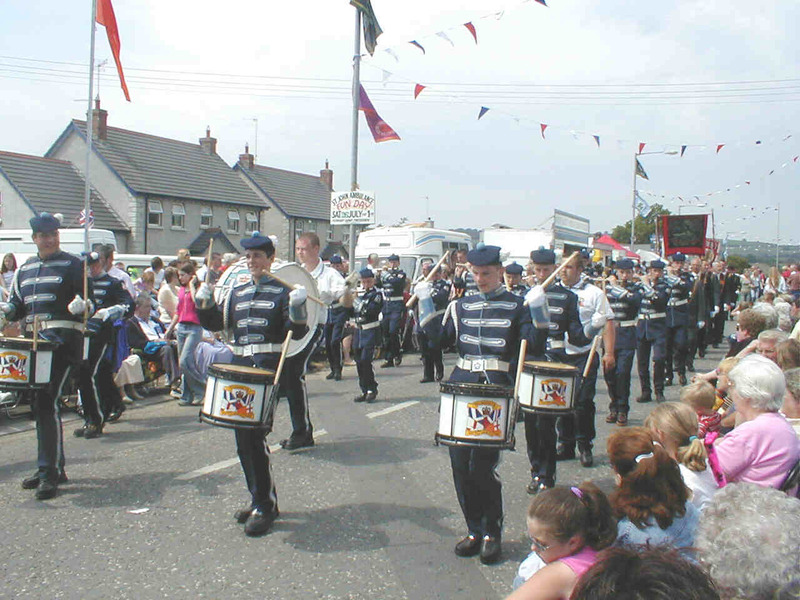 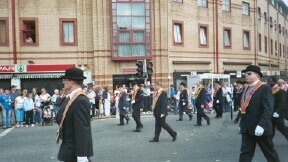 Kilcluney Volunteers FB - Markethill.